The Fresno County 4-H Program encourages youth to develop and improve communication skills through the annual 4-H Presentation Day; a competition, which allows youth to share their knowledge and skills with others through public speaking and performance. Melanie Curtis encourages members to participate in any way that gets them in front of an audience, practicing their communication skills. The 2009 Presentation Day was attended by 114 youth from 16 Fresno County 4-H Clubs. Presentations ranged from informative public speeches and demonstrations to moving musical performances and entertaining plays written and performed by 4-H club members. and Richard Molinar began keeping bees to gain hands-on experience and to have access to colonies for educational activities with their clientele. Shannon serves as a resource on bees and pollination in Fresno County. Richard is exploring beekeeping as an opportunity for family farms/specialty crops clientele. Together, they manage five colonies and give presentations throughout the year covering basic beekeeping and the importance of bees and pollination in agriculture. Because they maintain their own colonies, they are able to bring bees in an observation hive to clientele meetings. Adults and children are fascinated watching the various activities of the inhabitants of the hive. This activity has resulted in significant improvement in interactions with local beekeepers and has potential as a new opportunity for small farmers, given the shortage of bees for pollination in California. The services of county apiary inspectors are in demand as a result of issues impacting the beekeeping industry. Inspectors are called upon to evaluate hives for colony strength and examine them for disease, pest, and parasite infestations. In cooperation with the Fresno County Agricultural commissioner’s office, Shannon Mueller and Richard Molinar offered training for 105 apiary inspectors in the Central San Joaquin Valley. The agenda included bee biology and activities within the hive and commonly occurring pests, predators, and diseases that may be encountered. 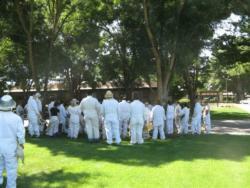 Inspectors were taught how to properly wear bee suits and veils and how to light a smoker. At the Kearney Ag Center, commercial beekeepers provided hands-on instruction to small groups. 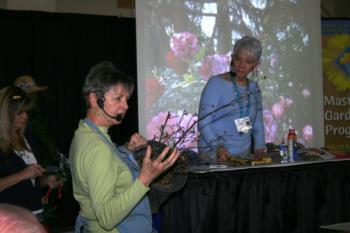 Participants learned to open and inspect beehives without damaging the queen or hive parts. On-line training is now being developed by Shannon to aid apiary inspectors as well as crop producers who rely on honeybees for pollination. Storage rot is a problem caused by fungi that attack fruit held in cold storage. Growers and packers manage the disease by applying pesticides in the field and with sulfur gas, respectively. However, growers producing organically grown table grapes are restricted from using standard fungicides. As a result, organic table grape growers have to harvest, store and ship their grapes within a week to reduce decay. An organically approved, pre-harvest disinfestation that decreases post-harvest losses would be beneficial for organic table grape production. Stephen Vasquez and UC Davis colleagues tested the disinfectant peracetic acid (PAA) to manage storage rot. PAA, which breaks down into acetic acid and hydrogen peroxide, is currently registered as a dip or spray on raw unprocessed fruit with no restrictions on immediate consumption at low doses. Steve tested higher PAA rates applied 1-day pre-harvest and evaluated fruit weekly. Storage rot was reduced to 4% compared to untreated fruit that had 10% rot after one month. The increased duration of storage time will allow organic table grape producers to better manage their harvest, storage and shipping schedules, allowing for a longer season and higher quality fruit. Herbicide-resistant weeds are a problem worldwide; 21 resistant biotypes can be found in California, including five in Fresno County. Four of these are resistant to the most popular herbicide active ingredient used, glyphosate. This means Roundup is no longer effective against resistant horseweed, fleabane, junglerice, and ryegrass populations, impacting growers, land managers, and home owners alike. Stephen Vasquez has teamed up with USDA-ARS Scientist Jeffery Palumbo to explore if San Joaquin Valley vineyards harbor fungi that produce ochratoxins; a known carcinogen. For the past 5-6 years, Asian and European countries have been testing for the presence of ochratoxins in grape products: fresh grapes, raisins, juice and wine. Commonly found in Mediterranean and South American grape growing regions, Aspergillus species, fungi that produce ochratoxin-A have been identified in California’s vineyards. 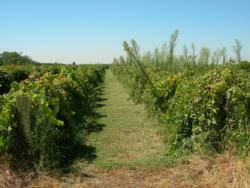 Vasquez focused on raisins since the industry is changing from tray-dried to dried-on-the-vine (DOV) production. The difference in the two production systems is a cooler, higher humidity environment found in DOV vineyards, which is conducive to fungal growth. Raisins were collected from DOV vineyards prior to processing and sent to Palumbo for fungal morphological and DNA analysis. Results showed that in unprocessed raisins, ochratoxin can be isolated at levels well below the threshold set by raisin importing countries. It is expected that raisins processed by California raisin packers would further decrease the amount of detectable ochratoxin. Raisin grape growers are confident that their product is safe and meets the ochratoxin test levels set by Asian and EU counties. The motto of Parlier, California, a small town, is “A Community with a Vision to the Future!” EFNEP helps this vision currently materialize and for future generations as well. Parlier, California is a Federal Rural Renewal Community that allows revitalization of neighborhoods and businesses using Federal tax incentives. A new housing project, Quail Run Apartments, allows affordable residency. EFNEP is a health partner, offering nutrition education classes to help strengthen individuals with positive health changes; thereby creates a more resilient community. Kurt Hembree conducted field trials to look at herbicides and application methods for controlling weeds in blackeye beans. Weed control is necessary in blackeyes to preserve yield and bean quality. However, since so few herbicides are registered in this crop in California, growers must have their fields hand-weeded, increasing the cost of production by at least $200/acre. In 2010 field trials, some herbicides tested provided economical control of weeds, but caused damage to the bean plants. When spray shields were used to help keep the herbicides off the crop foliage, crop injury was minimal and yields were excellent. If some of the herbicides tested become registered in California, it would help eliminate the necessity for hand-weeding in most fields and save growers at least $150/acre or about $1.2 million annually. UC Cooperative Extension has found a health and fitness formula that works. Combining fun exercise and nutrition classes for kids with special sessions for parents melts away pounds and inches. The concept was proven successful at a day camp offered by the City of Fresno Parks and Recreation and Fresno County UC Cooperative Extension this summer. About 90 overweight or obese children were recruited to participate in the six-week program at Ted C. Wills Community Center and Holmes Playground. Their parents attended two mandatory evening meetings a week. Members of the 2012-2013 Fresno County 4-H All Star Team have been busy developing leadership skills and sharing them with their fellow 4-H members. 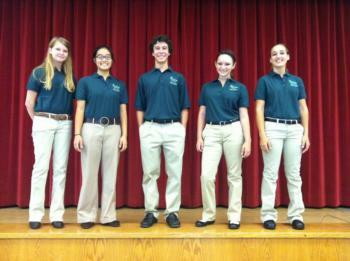 In August of 2012, they organized and facilitated Leadership Training Day to help 4-H club officers understand and perform their duties and to help Junior and Teen Leaders become more effective in their project groups. In January 2013, the All Stars attended the Leadership Conference of Regional Teens, where they taught a workshop on Collaborative Leadership to 300 teens and volunteer adults representing 12 counties. They are currently further developing and improving their workshop in preparation for the 2013 UC ANR Statewide Staff Conference. The All Star Team is currently hard at work carrying out their plan of action, which involves bringing a little cheer to children at a local hospital. They are collecting unused, unwanted T-shirts and recycling them into bags, which will be filled with donations of small toys and school supplies. The bags will be distributed to young patients and their siblings at a series of play days at the hospital. The project is helping youth in our community and helping the All Stars build professional skills for a lifetime that can be used in future leadership roles. County has the highest pocket of concentrated poverty in the nation. One-fourth of the population—over 220,000 people—are eligible for CalFresh benefits (formerly food stamps.) The UC CalFresh Nutrition Education program collaborates and leverages UC Cooperative Extension resources to positively impact the nutrition, physical activity, and food buying behaviors of low-income CalFresh-eligible families in Fresno County through direct education and applied research. 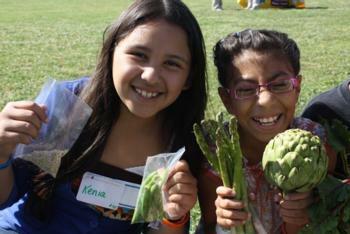 CalFresh-eligible youth receive experiential lessons and taste testing designed to introduce them to a variety of healthy foods. In the 2011-12 school year, educators participating in the program reported that compared to the beginning of the year, approximately 96% of students try new foods offered at school more often. CalFresh-eligible adults participate in class-series and workshops centered on meal planning, “stretching” food dollars and feeding their families nutritious meals. Of participants evaluated, 42% of adults reported increasing their variety of fruits consumed. The UC CalFresh Nutrition Education program partners with 29 school districts, private preschools and community agencies to meet the extensive need for nutrition education in Fresno County. 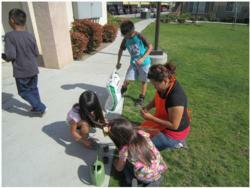 Through collaboration with our dedicated partners and educators, we are growing healthy families and communities. California is the largest producer of alfalfa seed in the US with production centered in Fresno, Kings, and Imperial Counties. The seed is used to plant alfalfa hay fields to support dairy, beef, horse, sheep, and goat industries worldwide. When genetically engineered alfalfa was released in 2005, concern arose over its impact on sensitive markets, specifically export and organic markets for alfalfa seed and hay. This concern resulted in a lawsuit that has restricted new plantings of biotech alfalfa. The industry needed to find a way to produce biotech alfalfa while not interfering with the production and marketing of conventional varieties. In a collaborative study,Shannon Mueller has quantified the movement of genes from genetically engineered alfalfa to conventional fields. Results from their research were used by the National Alfalfa and Forage Association to design a stewardship program for biotech alfalfa production. This plan will allow the alfalfa seed industry to remain viable in Fresno County. All growers have a choice; they can choose to produce biotech alfalfa while neighboring growers can produce seed or hay for markets that restrict the presence of biotech genes. As consumer interest in organic and pesticide-free produce increases, growers are offering alternatives by responding to health concerns with organically grown fruits and vegetables. Organic research and education is important to consumers for their family health and to the grower whose family works on the farm with less exposure to toxic chemicals.  Richard Molinar has received approval to organically farm 10 acres at the Kearney Agricultural Center. These 10 acres allow Molinar to grow crops organically and conduct field days for growers and consumers to see, feel, and taste the fruits of the research. Early in the growing season, Molinar demonstrates soil solarization and the use of different colors of plastic to maintain effective organic weed control. As the season progresses, field day participants have an opportunity to experience pest management of crops and at harvest the fruits of the labor are enjoyed with taste testing. * Reducing water for early irrigation events. When the cotton crops are stressed during development, there is less chance of yield reduction created by water issues. Irrigation management guidelines are a proven tool to assist growers in remaining profitable during a severe drought. Recording weight of processing tomatoes for evaluation of irrigation schedule impact on processing tomato yield, quality and soil salinity. Vegetable crops are grown on a very large area and are among the most valuable crop groups at $1.6B, produced in Fresno County. The UC Cooperative Extension Fresno County vegetable crops research and extension program focuses on a few very large scale vegetable crops, such as tomatoes, garlic, onions, melons and lettuce. In addition, assistance is provided to growers of all vegetable crops in the county through diagnostics and educational activities. The potential savings on Fresno County’s 460,000 acres of fruit and nut crops using these treatment methods is nearly $14 million. The impact of improved weed control includes fewer weeds; fewer herbicide treatments needed; and reduced costs associated with equipment, fuel, and labor. This benefits both growers and the environment. Do you garden in containers, plant a full-fledged vegetable garden, or are you planting edibles among your existing landscape? No matter what your level of gardening experience is, UC Cooperative Extension Master Gardeners can help you be successful. For nearly 30 years the UCCE Master Gardeners have trained volunteers interested in gardening to become experts that can help County residents have and enjoy beautiful home gardens. Over half-million viewers received nutrition education through 26 television segments. Connie Schneider conducted twelve nutrition segments on Central Valley Public Television’s 0 to 5 in 30 Minutes, a weekly program focusing on issues important to parents and caregivers of children from prenatal to five years old. Connie’s topics ranged from breastfeeding to preventing malnutrition and reading food labels. Shows were aired twice weekly and 11 of Connie’s segments were placed on YouTube. Other Fresno stations utilized Connie's expertise when new research came across the wire service, such as Vitamin D's impact on chronic disease and food safety issues. Nutrition staff members also worked with media. Nelly Carrillo had nine segments teaching nutrition messages from the Expanded Food and Nutrition Education Program on Univision. Segments were repeated on Telemundo, which reached approximately 80,000 viewers! Did viewers learn from media nutrition education? Connie's focus group research revealed viewers trusted credible sources, they used the recipes and appreciated local food, nutrition, and health information. 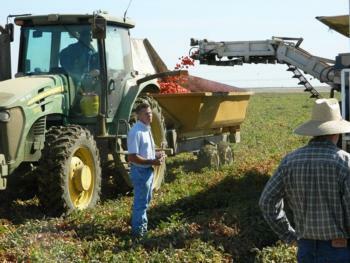 For the more than 4,700 family farms in Fresno there is help in the UC Cooperative Extension Service of Fresno. Outreach in the form of workshops, seminars, conferences, phone consultations, newsletters, publications, websites, and one-on-one farm visits provide answers to questions and much needed help. The outreach even takes the form of helping to plan legislative bus tours with the farm bureau to help educate US senators/assembly, state senators/assembly, city council members, and their staff about the agriculture in this county. Thomas Turini conducted experiments over three years to help producers control tomato spotted wilt on processing tomatoes. Tomato spotted wilt can cause substantial yield loss. It is transmitted by an insect that is difficult to control and it is likely that one tactic alone will not effectively control this disease. Information regarding relative susceptibility of varieties to this disease and in-field management of the insect that transmits this virus (thrips) has been generated and provided to clientele. The influence of control programs on the incidence of the virus in the field as well as analysis of yield and quality in processing tomatoes over two years of field trials on this subject have also been shared. This information has been used by consultants to develop and evaluate their management programs resulting in fewer applications of insecticides that are ineffective against the thrips target. In addition, they now can consider relative susceptibility of processing tomato varieties when making thrips management program decisions. Kurt Hembree helps train growers, pest consultants, and applicators on the importance of spray nozzle selection, spray drift, and weed control. Using the correct nozzles to ensure herbicides are applied to the weeds and not other sensitive plants and injuring them is important. Recently developed nozzles have helped to reduce spray drift by 75% to 98%. Using a spray demonstration table as a training aide, growers can visually see how spray droplet size, spray pattern, and potential to reduce spray drift differs between nozzles. Individuals can then make educated decisions when it comes to nozzle selection and the effect on spray drift and weed control. In the end, this prevents herbicide waste and saves growers time and money. A major benefit to using the demonstration table as a teaching tool is it eliminates the need for a large tractor, ATV, or other boom sprayer. More than 450 individuals were trained at four locations in Fresno County and another 800 people benefitted from this training method throughout the southern San Joaquin Valley. • Research information related to the chemistry of irrigation waters and methods to improve water chemistry. • Discussion of drip emitter plugging and detailed approaches to minimize or eliminate one of the most common problems found in SDI systems. • Key SDI design elements that enhance the system’s capacity to deliver water uniformly and efficiently. • Safe and effective fertilizer and chemical injection. Dan Munk also addressed drip tape emitter plugging issues caused by root intrusion. Growers and irrigation industry participants documented a major improvement in their understanding of SDI management with 90% of growers feeling more confident in understanding the causes of poor SDI performance and 82% indicating they would be making some changes in their system management and maintenance methods.